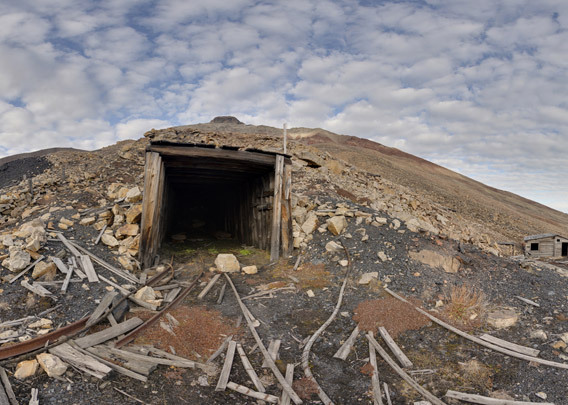 The upper one of three old, small mine shafts in this area on the lower slope of the Pyramiden mountain. Also here: Mine 3 is not a historical term, I just use it here to make it easier to keep the overview. The highest one of 3 old coal mines near Pyramiden. Also here, information is lacking regarding when and how long this mine shaft was in use or how much coal was produced here. 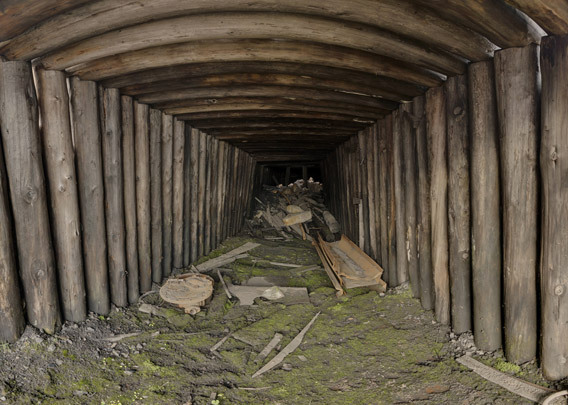 Old coal mine (3): view into the mine shaft.